The kitten lives! 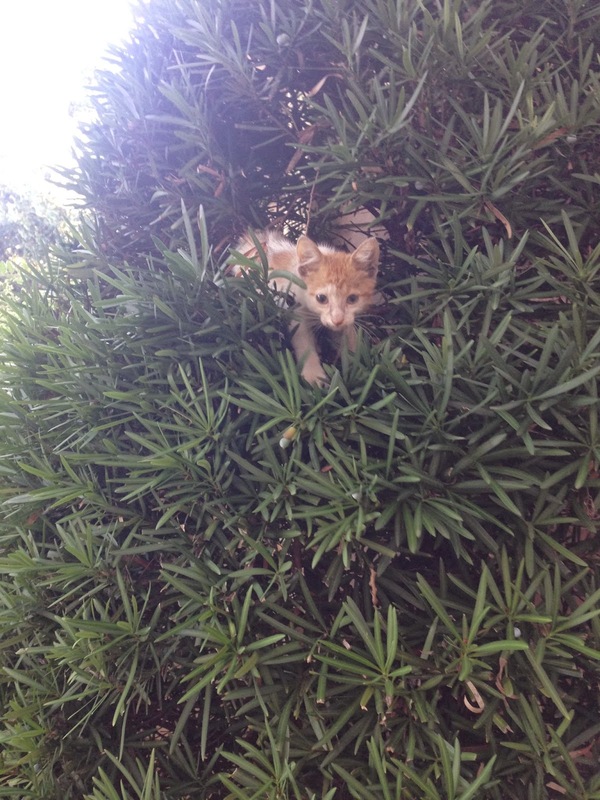 This morning he was stuck in the bush in our front yard. The guy can climb up but he can't climb down. For the second time, I helped him down from a high spot and I fed him more canned salmon and milk. I also sent out an email to the 'sac seeing if anyone needed a new family member. I'm so late for work. You are so precious. I hope someone wants that little kitty.